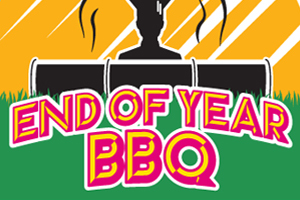 Today will see the perfect casual event to round off a year of hard work at our Winchester site – the WSA Cafe will be holding a Summer BBQ, open to all students, from 4.30pm onwards. Your ticket will get you a choice from the fab barbecue, which will include vegetarian and gluten-free options, so there’s something for everyone. Songs will be played by request – get your favourite tunes in now to hear them at the event! Just comment on this Facebook post to let us know what you want to hear. The team from the Winchester Summer Ball are now selling raffle tickets to raise funds for the ball, and the prizes will be drawn at the BBQ! Tickets can be purchased for £1 per strip of five at the SUSU desk in the WSA Cafe – check the Facebook post for more details. Tickets to the BBQ itself can be bought for just £5 from the WSA Cafe – you can keep up to date with all the information for the event on the Facebook page here.